For all the negative things that have put Newtown, CT in the news, it will always be a musical hub in my mind. I grew up a few towns over and the Newtown Teen Center had a somewhat mythical status. I’m not sure I could name all of the bands I saw in high school that came out of Newtown. Connecticut-based punk/ska record label Asbestos Records credits the town with being the catalyst for the label’s creation. It’s only fitting that a great ska/reggae act, still new to Boston, originated there. 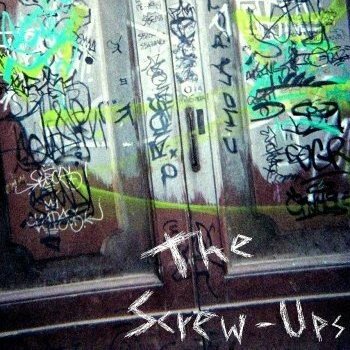 The Screw-Ups cite The Slackers, Toots and the Maytals, and Sublime as some of their influences. Personally, I’m hearing much some very two-tone sounds off of their April 2013 EP release, and I’m totally digging their danceable rhythms and the sound of the single sax. This six track EP is available on bandcamp on a pay-what-you-can basis; give a listen below. A few more tunes can be found on soundcloud. I’m excited to both welcome some fellow CT ex-pats as well as more traditional ska to the current Boston ska mix! They don’t have any gigs scheduled at the moment due to a thumb injury (ouch), but they’re booking for late july onward. Fun band. I got to record some of their set last year.